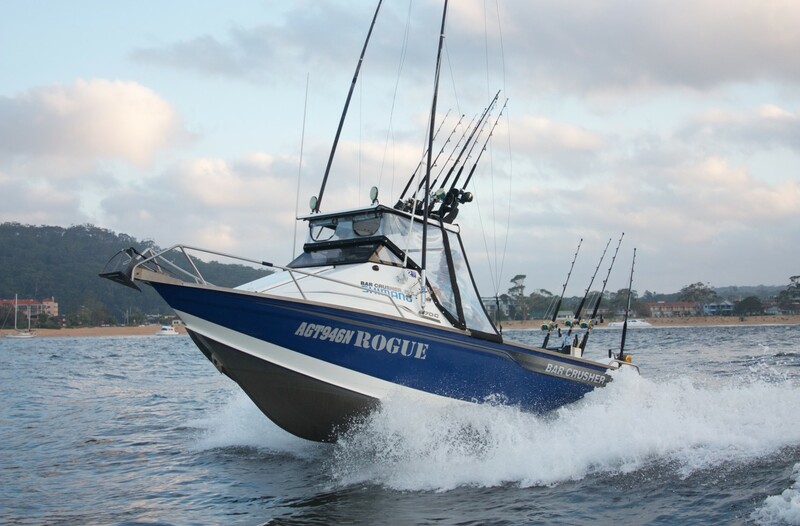 Botany Bay GFC boat 'Rogue'. 'Rogue' won Champion Boat Under 8m – Tag and Release. 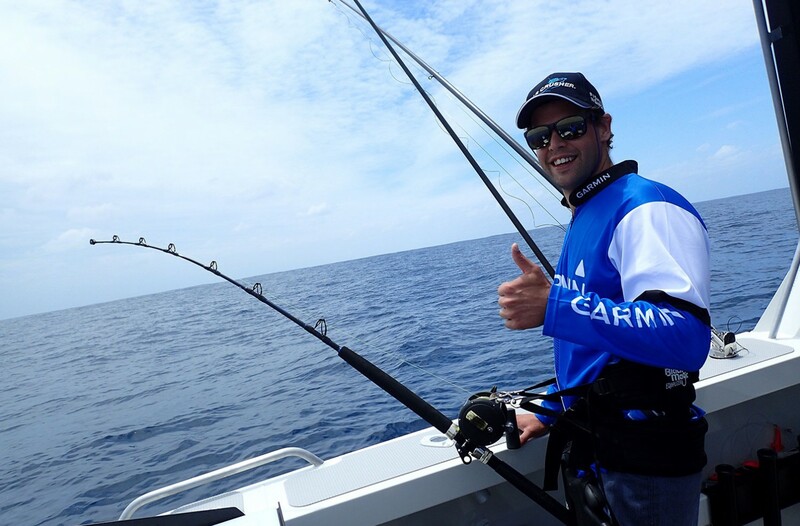 Despite its name, Central Coast GFC boat 'Kill Tank' does actually tag and release fish! Ethan and younger brother Josh show the old blokes how it's done! 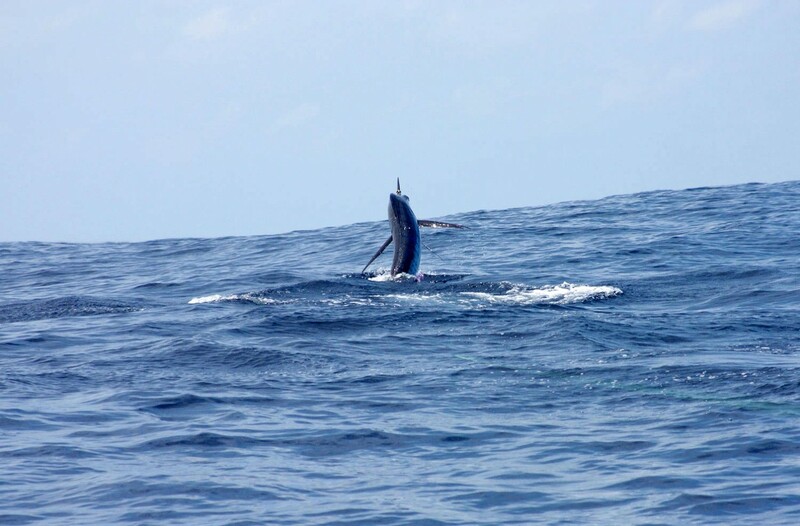 A solid striped marlin charges away from Team Garmin / Bar Crusher. Hooked-up to another marlin from our 670HT. Bar Crusher’s presence was felt on the water and on the winner’s board during the 2016 Great Northern Brewing Co. Central Coast GFC Bluewater Classic held out of Broken Bay (NSW) over the weekend. Half-a-dozen of the 40 boats entered in the event were Bar Crusher boats, with two of them winning awards in the tag and release category. 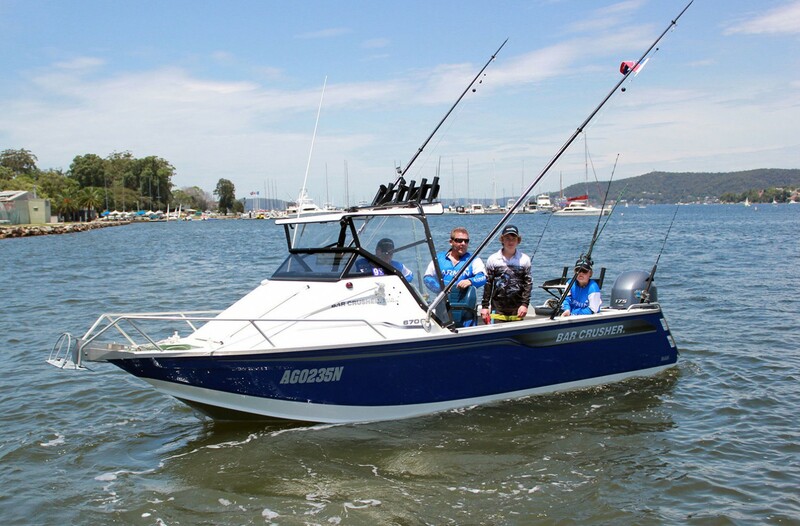 Rogue (a 670C) won Champion Boat Under 8m – Tag and Release; while a young angler fishing on Kill Tank (another 670C) took out Champion Junior Other Game Fish – Tag and Release. 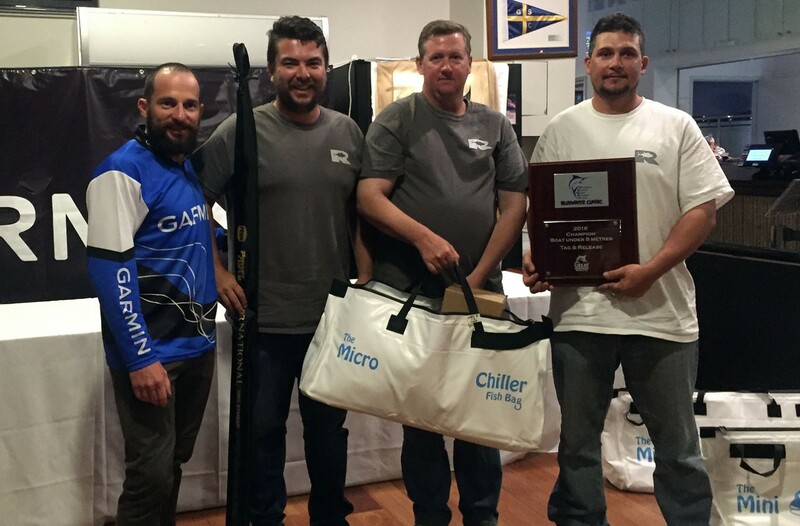 This was the fourth game fishing tournament Rogue had entered, with the crew – Johnno Meguerian (skipper), Steven Spinks and Jay Wood – all members of Botany Bay GFC. They tagged and released three striped marlin on skirted lures, which was enough to take out the tournament on a weekend when bait was very scarce. While the Rogue crew fishes a lot of point score weekends targeting marlin and sharks, the crew also does plenty of social fishing – from late nights hunting jewfish and squid to early mornings chasing snapper. The Central Coast GFC crew onboard Kill Tank has fished together for 10 years. 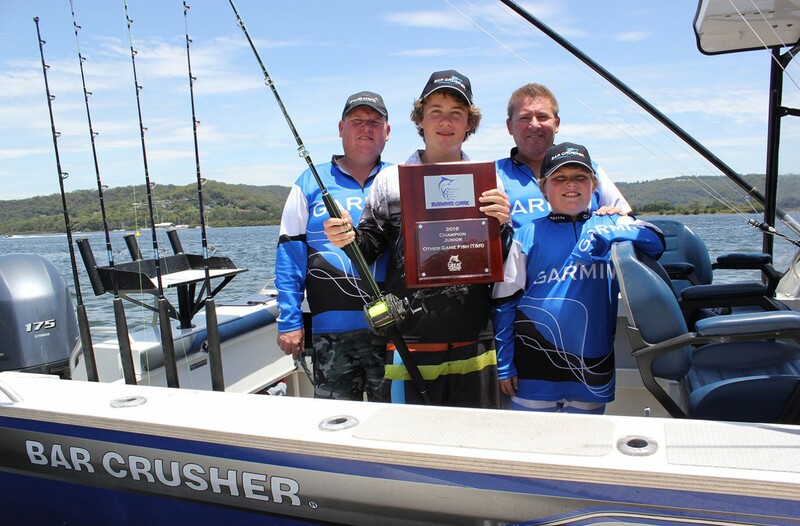 Champion junior angler Ethan started fishing with his dad Geoff Hallam and long-time mate Jason Williams (skipper) several years ago, although this is the first year Kill Tank has had a crack at the game fishing tournament scene. Younger brother Josh also joined the Kill Tank crew late last year as a small fry angler, and already tagged his first marlin on 31 December 2015. Not a bad way to see out the year and bring in the new one! Outside of game fishing, the Kill Tank crew has competed in many snapper and small boat fishing competitions up and down the coast, and regularly fishes socially for both pelagic and bottom fish – with good catches of snapper, jewfish, tuna, marlin, sharks and [the crew’s favourite] bar cod. We were also on the water during the Central Coast GFC Bluewater Classic, fishing as Team Garmin / Bar Crusher from a 670HT. We had a great weekend catching a marlin each day – and, more importantly, getting to meet more Bar Crusher owners who love their boats as much as we do!